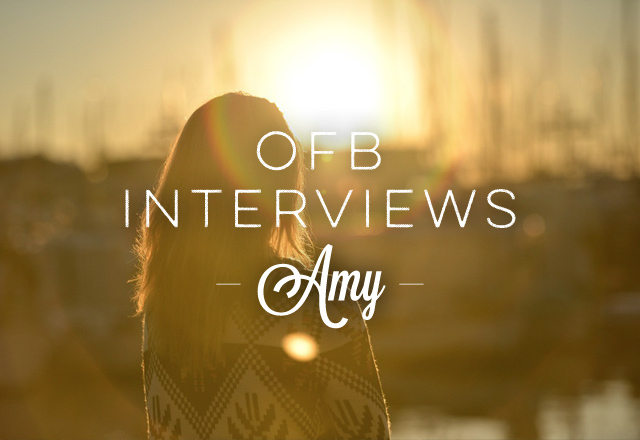 Today’s interview is with Amy, who’s started down the path for big financial and life changes. Her story shows someone with so much resolve and determination to change and meet her goals. 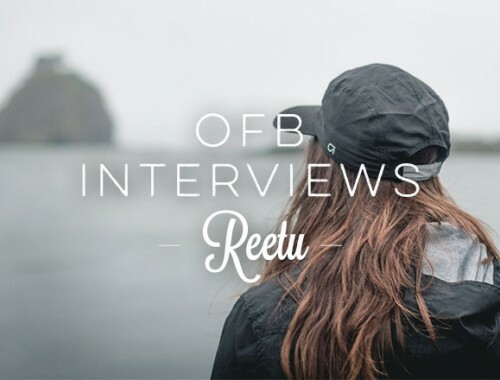 We’re inspired by her openness and honesty in sharing her story. So we’ll let Amy take it from here! I’m almost 45 years old and I still feel like I’m 20 in many ways. One of these ways is with my finances, unfortunately. Long story short, I have never been good with money. Even as a child when I was assigned to be the treasurer of my 4H chapter, I freaked out about dealing with money. In fact, I ended up dropping out of the group because I just couldn’t handle the responsibility — and/or didn’t understand how to make the budget work. I was 9 or 10 years old. As a teen, and especially when I received my first credit card offers in the mail when I headed to college, my mom tried really hard to dissuade me from getting one. But I didn’t listen, and that was the very early beginning of my dismal dealings with serious money. By the time I was out of college, not only did I have student loans but I also had some credit card debt that I had a hard time managing. Things haven’t gotten much better since then. I have tried numerous times to dig myself out, and I have had some help along the way (bless my partner, my mom, especially, and my dad who paid off my undergrad student loans), but I always end up back where I started, or close to it: feeling anxious about making ends meet, feeling overwhelmed and upset with myself for making the same mistakes over and over, and probably some new ones, too. I have tried to set up budgets for myself in the past at least several times, but nothing ever stuck. Recently I downloaded the You Need A Budget app trial and I am enjoying using it, but still feeling my way around a bit. I know it can help me and I do plan to buy the full version once the trial is over. I need to get myself organized and aware of where the money is going, and the only way to know that is by setting up a budget. It’s scary! Burying my head in the sand sure feels like the easier thing to do, but it doesn’t help anxiety levels in the end. Ignorance is definitely not bliss. Some good things about what’s going on now are that I do make OK money for once in my life. I work a full time job plus a mostly-regular part-time online teaching job, and sell my artwork, either directly or through one of the galleries that represent me. There should be plenty of money to cover everything, but it always seems like I fall short. I’m still living paycheck to paycheck, more or less. I’ve also been putting money away in my 401k since I started working at my current job. It’ll be two years in July, and I think there’s over $6000 in there so far. My employer matches to 3% and I have to work there six years for their portion to be fully vested. I do plan to stick around at least that long, should everything go as planned. I’ve been contributing 3–8% myself. I have had retirement funds in the past that I ended up cashing in for one emergency or another. I will NOT be doing that again. First and foremost, congrats on your resolve to change. What made you decide to fix things? I am so sick of worrying almost constantly about how I am going to pay for everything. There is always a low-level (sometimes high-level!) anxiety flowing around my brain. It’s sort of the final frontier for me to get my life in order. I’m very happy with just about everything else in my life, including my overall heath — this past year I’ve lost 85 pounds and started a running regimen. I still want to lose another 130–150, but I have a good start and I feel fantastic. Weight has also been a lifelong issue, so I feel that if I can conquer that, I can finally get my finances in good order, too. What are your financial priorities over the next 12 months? Your weight loss is also incredibly inspiring. What similarities have you found with weight loss and getting your finances under control? Do they fuel each other at all? Thank you! I have been down this path MANY a time, but now that I am in the thick of middle age, I realize that getting my weight down to a healthy level and just taking better care of myself in general is a big priority. At my highest weight I found myself unable to do many things that shouldn’t be a problem for anyone — and carrying all that extra weight was starting to keep me from doing things like travel, going out with friends, etc. It affected my life in so many ways. I didn’t want to limit myself, and that is what I was doing! I also started thinking about my life as an older person and I want to be 70+ and still be able to do anything I want. I want to be a mountain-climbing, surfing, crazy old lady. I made a correlation between my weight and money issues years ago when I first started blogging. This link takes you to the first month of my original blog. The intention was to talk about both issues, which seemed to have so many similarities. Eventually, the blog gave way to exclusively talking about the weight because the money thing just wasn’t happening. Later, after a few starts and stops, I started my current blog called Ten Percent, which focuses only on the weight and thinking about losing it in blocks of — you guessed it — ten percent. I’ve been on it for just about a year now and things are still going strong. It’s my hope that I can take that momentum and that attitude I have and apply it to how I deal with my money. It’s not easy, but it is doable, and sometimes it’s even fun. If you make a mistake, try to learn from it and get right back to your plan. You can’t fix it all at once. It’s going to take time, and that is OK. Be patient. Keep things fresh. Continue doing the things that work. If something isn’t fitting in well, find a new way to deal with it. Keep an open mind to change and adjustment. Find ways to stay engaged, interested, and IN IT. As I mentioned before, I’m trying out the You Need A Budget app and I really like it so far. I’m not too far into it yet, as I just started on May 1st! Already, though, it has helped me become more aware of how I’m spending money. More and more I think carefully about what I am going to spend and why. In just ten days there are many times I’ve decided NOT to buy something because of the awareness using the program has given me. I’m hopeful. What are your biggest financial struggles? Where are your weak spots? Even though I like being organized, I often lose track of due dates for bills. That’s probably my biggest downfall. I need to be more aware so that I can avoid late fees and dings on my credit report. Last year, I started leasing a car and the payments have been rough. I really stretched myself on that one, and it’s because I didn’t plan for the demise of my previous car and found myself in a desperate position rather than a strategic one. I love the car (it’s a Prius Plug-In) and I want to buy it when the lease is out, but at the same time I feel really stupid about it. My household’s weakest spot is food. (Surprise!) Again, here is another instance where planning really needs to be a priority. Too many times we end up getting take-out because I don’t feel like cooking, or there’s nothing in the house adequate for dinner. I’ve been working on that in baby steps and have an increased awareness of this, at least. I recently downloaded the Paprika app, which I think will be helpful for meal and grocery shopping planning. Overall, my biggest struggle is staying current with everything. It gets really disheartening sometimes. Thank you for sharing your story, Amy! If you have any thoughts, tips, or high fives for Amy, feel free to leave them in the comments below. 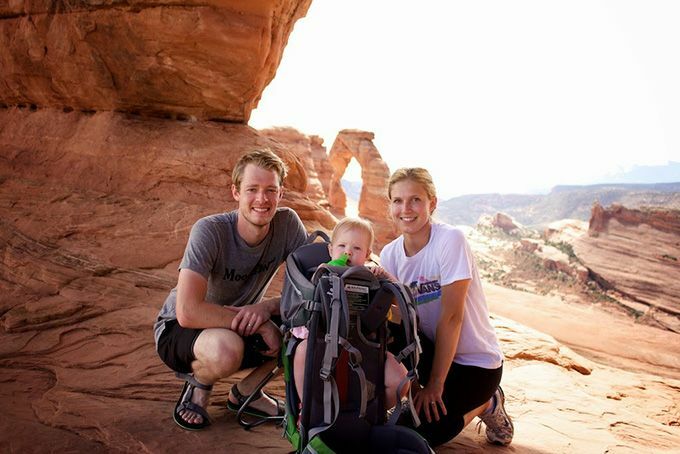 Great interview, and thanks for sharing your story, Amy! I think you’re on your way to having more financial stability. The hardest part sometimes is seeing where you have weaknesses and acting on those to correct things. Sometimes it takes making a complete 180 in your behavior- with complete consciousness and honesty. I know it sounds harsh, but sometimes you just have to bite the bullet and not take the easy way out, such as cooking dinner at home. This is a huge money saver and can actually serve as a way to be more conscious about what you are consuming, and serve as a bonding experience with your spouse. I come from a similar financial past, except I still have those student loans. I know that my main issue was shopping with money I didn’t have- because I was a very lonely and anxious person and couldn’t see a way out of the single girl in a big city lifestyle I was living. I am an extremely shy person, so meeting people was not something I did regularly, and shopping (online and in stores) became my way of interacting with people. I know that it took a very long time for me to work out the emotional/anxiety driven things that were causing me to shop excessively- mainly being someone who fell in to a situation I was uncomfortable with because my parents pushed me. Of course I had a good career, but I always felt uncomfortable being by myself in a city so far away from what I knew (growing up in a small town), and that discomfort led to the self-destructive behavior. My saving grace was meeting my now-husband and realizing that he supported me no matter what, and that we were going to do it all together. He came from a bad divorce and was in similar financial shape. We were 100% honest with each other and spilled our guts about finances and came up with a plan for success. We’re diligently working on it now and I couldn’t be happier, or more proud of what we have accomplished this past year since we were married. If someone like me can do it- you can do it. It takes a lot of strength to recognize the anxieties and weakness you may have and even more strength to begin fixing things. Realizing how our emotional state can create and exacerbate behaviors in other parts of our lives is a hard thing to do, and takes a lot of self reflection. I think you’re doing a great job. Keep it up! I love Amy’s attitude towards all of these changes she’s trying to make. I think her second key point – “If you make a mistake, try to learn from it and get right back to your plan” – is especially important. It is so easy to get down on yourself if you make a mistake and then just give up, but staying positive and moving on is a better way to stay on track. Hi everyone, I just wanted to say thank you for reading my story. Vanessa, I appreciate your thoughts especially, and yep – I still have a bunch of loans I haven’t really addressed yet. I’m still burying my head in the sand about a lot of stuff, and the daily stress of it gets worse. Part of it is that I am so embarrassed about it that I find it hard to even talk to my partner of 15 years about it, so I just keep trudging along and pretending some semblance of normalcy and “OKness”. I’m not sure what the breaking point is going to be, but I want to be ahead of it for sure. You go girl–you’re moving in the right direction.